Like a werewolf who only changes on the nights of a full moon, in the American remake of the formerly soccer-centric Colin Firth vehicle Fever Pitch (based on the book by Nick Hornby), Jimmy Fallon's character is a dependable math teacher for most of the calendar year, but goes into crazed fan mode every spring when his beloved Red Sox head down for spring training. Setting the U.S. film during the year that the Red Sox finally stopped breaking Boston hearts and the curse of the Bambino by winning the World Series added a slice of authenticity to the fresh romantic comedy. 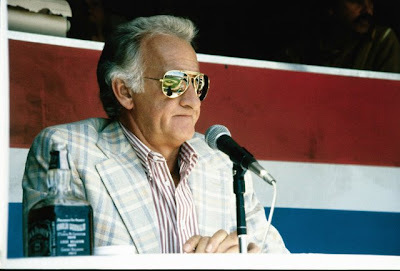 However, while it was a trial to be a fan of the Sox, writer/director David S. Ward had it far worse in the 1980s as a dedicated devotee of his own struggling Cleveland Indians. 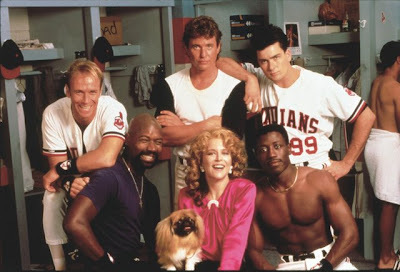 So instead of using Yankees toilet paper or going overboard a la Fallon's character, Ward decided that the only place he could make his dream of seeing his cherished team make its way to the championships was by sublimating that pain into comedic art in one of the most successful sports sub-genres of the 1980s with the All-American baseball movie. 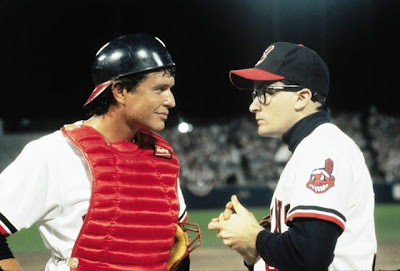 However, while Ward's inspiration for the surprise '89 hit Major League came from a sincere place in his heart, he wasn't about to abandon all logic and reality so he dreamed up a dynamite hook wherein his baseball movie takes a stronger cue from Mel Brooks' The Producers rather than Ron Shelton's Bull Durham in delivering us an entire ragtag group of Bad News Bears style hooligans that would never have been let onto the fictitious Field of Dreams. A cult favorite that's picked up considerable momentum since it's release, although the film earned roughly four times its budget at the box office and spawned two sequels, amazingly it's a title that I couldn't quite recall. While parts of the work seemed familiar such as the unmistakable Charlie Sheen zig-zag hair cut, I was thrilled to have the opportunity to check it out in Blu-ray form twenty years after its release from Paramount Home Entertainment. Likewise, I agreed that-- similar to the sentiments expressed by the cast included in the interviews on the Wild Thing Edition-- it has held up considerably well these past twenty years so much so in fact that some of the aspects of the film have seeped into America's pastime such as the introduction of pitchers or star players who take the field with their own theme music usually in the form of a rock anthem or instantly recognizable track. 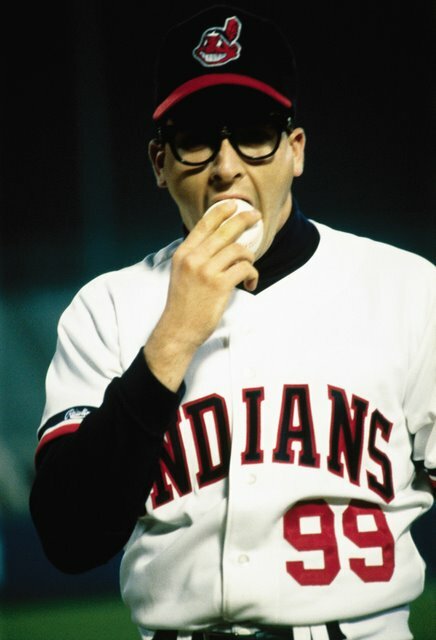 And in Major League, the man who does this to great effect near the conclusion of the picture is Charlie Sheen's naturally gifted yet loose cannon pitcher Rick Vaughn. 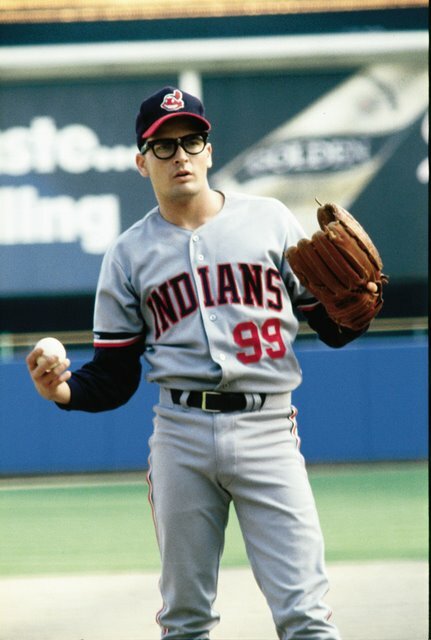 Regularly hurling balls at speeds well over ninety miles an hour-- the formerly incarcerated “wild thing” of a pitcher who finally finds control in his aim by way of the right pair of eyeglasses, has since become a character you remember more as the “Wild Thing” referenced in his introduction walk-to-the-mound music than for his actual name. And of course, being that the film was made just after Sheen's success in Platoon and Wall Street as he began a rise to super-stardom-- knowing what we now know about the wild side of Sheen-- it's only fitting that he played the man so many years ago. Intriguingly in the film, he's cast opposite his Platoon co-star Tom Berenger in a refreshing change of pace that gave the men who genuinely enjoyed one another's company to play friends instead of rivals at war. 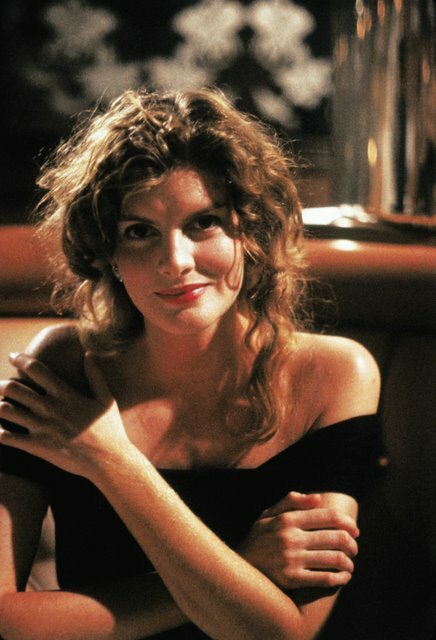 Rounding out the roster, Ward proved a knack for identifying talent early in casting some actors in either their earliest roles or completely against type as he gave the beautiful, successful model Rene Russo her first acting job as Berenger's ex he's still hung up on, L.A. Law's Corbin Bernsen getting a chance to play funny as a baseball diva much more interested in the business than the game, superstitious voodoo practicing player Cerrano (24's Dennis Haysbert), and a hilarious turn by the over-eager Willie Mays Hayes (Wesley Snipes) who shows up for spring training even though he wasn't invited. The masterful casting of a diverse group adds considerable charm to the hilarious premise which finds the widowed showgirl wife of the former owner of the Cleveland Indians (Margaret Whitton) who-- sick of the cold weather of Cleveland-- decides to exploit a clause in the contract that would allow her to move the entire team if the attendance plummets and they finish dead last. 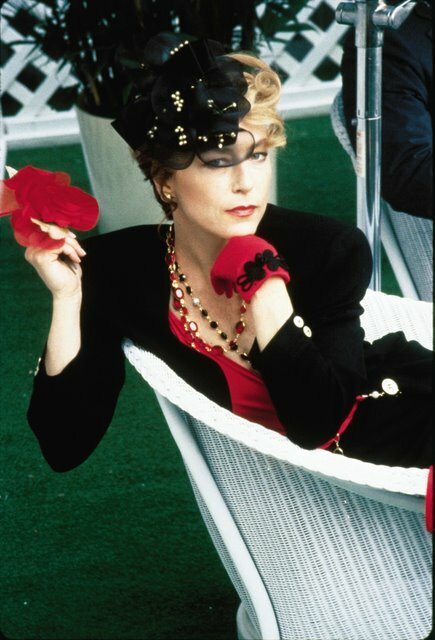 Setting her sights on relocating to sunny Miami, Whitton's manipulative Rachel Phelps puts her plan for guaranteed failure into action by recruiting a tire salesman to manage the team (James Gammon) and creating a list of players she assumes will be the worst lineup imaginable such as the imprisoned Vaughn, former talented catcher Berenger who's way past his prime, and more assorted oddballs that come out of the woodwork in this offbeat work. 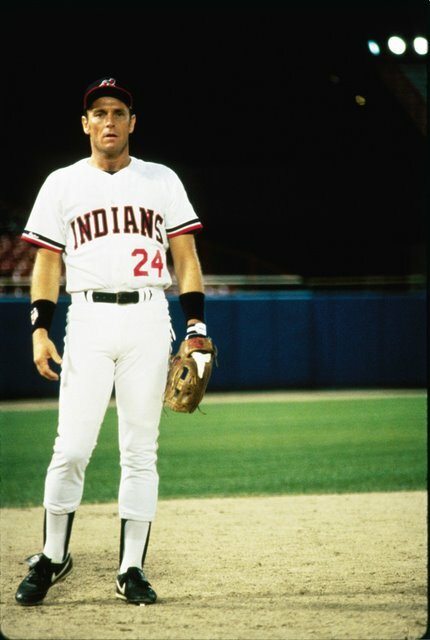 Although Ward's knowledge and passion for the game is commendable and indeed, if you explore the copious bonus features on the Blu-ray, you'll appreciate the way he modeled some characters on either real players or composites of several and put all the actors into an intensive baseball camp-- part of the reason it managed to hit way out of the park of merely another underdog sports movie is because it's never merely a baseball film. Instead, in essence, it's one of those great band of outsiders comedies about the strangest of human beings coming together. And in this regard and by trying to always emphasize character driven humor and an ensemble seemingly improvised spirit at times-- Ward managed to ensure he'd provide something for everybody in a movie. 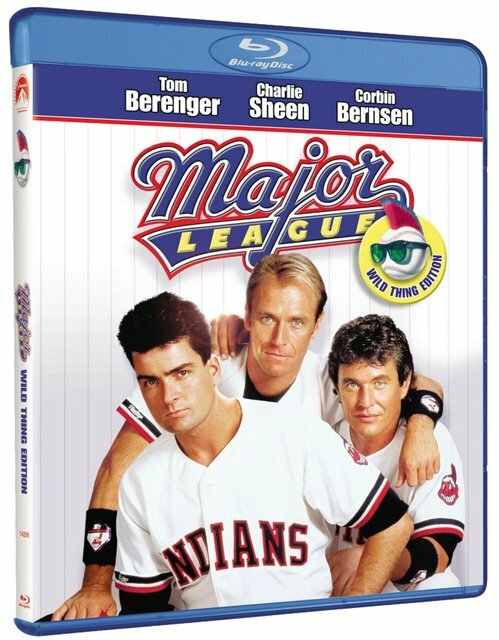 While certainly, Major League can be slapped with the same charge as most sports films that it's predictable since you know precisely that the Cleveland Indians will soon begin to win more than they lose ratcheting up the conflict and increasing what's at stake for everyone but the way he gets from Point A to Point B is what makes the movie incredibly fun and still surprisingly effective to this day. 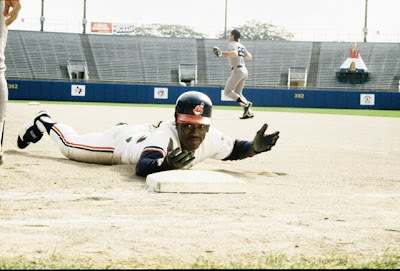 Although there's a strong homage to “types” of players and actual personalities throughout the film that would make the film play far better to those in the know including athletes currently working in the majors and minors of Cleveland baseball (as we witness in another extra), Ward's creativity helps make some of the very real issues surrounding ball players like rivalry, superstition, and girls on the road feel a bit more fresh. And admittedly initially, I was consumed with a comparison to The Producers despite the fact that structurally and thematically they're very different, I was intrigued to learn upon further research that-- way before the fixing of the 1919 World series-- there was one recorded attempt in 1899 by Frank Robinson, the owner of the (then) Cleveland Spiders to compile the worst roster he could create in revenge against the fans of the city for failing to turn up for games. 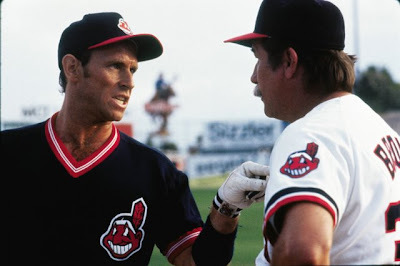 While the fans of Cleveland were finally given hope first fictitiously by Ward and then in reality during some success in the '90s, the Blu-ray edition of the disc makes for an impressive transfer of the film to high definition wherein the sound takes center stage (it is the Wild Thing Edition after all) in place of some of the softness of the colors but it's cleaned up nicely with added clarity, a warm and inviting depth perception that considerably augments the scenes on the field. Despite this, fans who already own this particular edition or another of the film on DVD may want to evaluate whether or not the upgrade is worth the price tag depending on how many features they desire-- the extras are well worth investigating, so for those who are new to Major League, you may want to go ahead and just jump right into this format to witness it in the best possible presentation (which flatters any set-up with English 5.1 Dolby TrueHD or the original mono soundtrack) and start catching the spring fever since it's baseball season after all.